When I learned that the School of Veterinary Medicine would be constructing a new Veterinary Medicine Student Services and Administration Center just north of the Arboretum Teaching Nursery, I was excited at the prospect of collaborating with faculty, staff and students on gardens around the new building, as well as our visitors having access to the new Scrubs Café. In our first meetings, three major ideas came out of our conversations: supporting the school’s One Health Initiative, creating pet-friendly landscapes and building a hummingbird research garden. 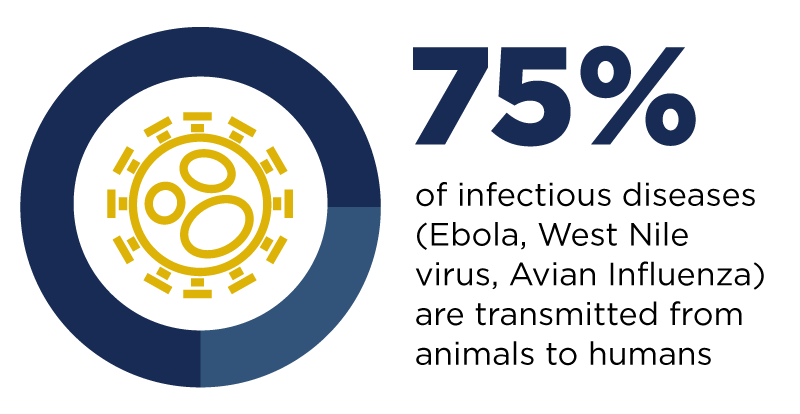 The One Health Initiative is based on the idea that animal, human and environmental health are all connected. This idea serves as an overarching theme that is reflected in all of our new gardens here at UC Davis. In transitioning from the more natural environment of the arboretum to the more urban environment of the vet school, we chose to transition from arboretum gardens focusing on wildlife (native pollinators, hummingbirds and other birds) to urban gardens adjacent to the buildings focused on domesticated animals (cats and dogs). Companion animals have a constant presence at the vet school. Thousands of cats and dogs every year are treated at the Small Animal Clinic and often are treated to walks in the arboretum as part of their exercise regime. Vet students can even bring their pets to school. It’s no wonder that there was a lot of enthusiasm for incorporating pet-friendly features into the new gardens. When you visit, look for the outdoor drinking fountain designed for people and pets, doggy waste bag dispensers near garbage cans, and the café’s outdoor walk-up window for dog-friendly ordering. Garden plantings have also been carefully selected with pets in mind. Here are some ideas to consider trying in your garden at home that will bring pleasure to you, Fluffy and Fido. As always, please keep your pets on a leash when visiting. Both cats and dogs enjoy strong smells and fragrant plants. Consider incorporating herbs such as rosemary (Rosmarinus officinalis) or lavender (Lavandula spp.) in your garden for their aromas. Cats go wild for catmint (Nepeta x faassenii) and catnip. Dogs also enjoy tasty fruits and vegetables, and would appreciate a patch of wild strawberries (Fragaria vesca) all their own. Choosing nontoxic plants can help ensure that pets aren’t accidentally poisoned in the garden. Also, because dogs in particular can be rough on plants, choose durable options that can withstand some trampling or bedding down. Dwarf bottlebrush (Callistemon viminalis ‘Little John’) and creeping Oregon grape (Berberis aquifolium var. repens (photo above) are two choices that are nontoxic and tolerant of some wear and tear once they’re established. Want to make sure that you don’t have any poisonous plants growing in your yard? UC Davis Professor Bob Poppenga from the California Animal Health and Food Safety Laboratory System suggests you check out The Pet Poison Helpline and ASPCA Animal Poison Control. Dogs and cats both eat and enjoy grasses. Vomiting following grass ingestion is normal and natural. Cats enjoy hiding in tall grasses, and dogs have been known to choose a big bunchgrass as a favorite place to sleep and lounge. Eyelash grass (Bouteloua gracilis) and pine muhly (Muhlenbergia dubia) are my two favorite pet-friendly Arboretum All-Star grasses. Cats in particular are skilled predators, adept at killing birds and small mammals. Keep this in mind if you include bird feeders or bird-attracting plants in your garden. Bird advocates encourage cat owners to keep their pets indoors. Outdoor cats can be outfitted with colorful fabric collars (like a scrunchie) to make them more visible to birds. Attaching a bell to a cat’s collar to warn birds isn’t very effective, say British ornithologists, because cats learn to walk without ringing them. Emily Griswold is director of GATEways Horticulture and Teaching Gardens for the UC Davis Arboretum and Public Garden.